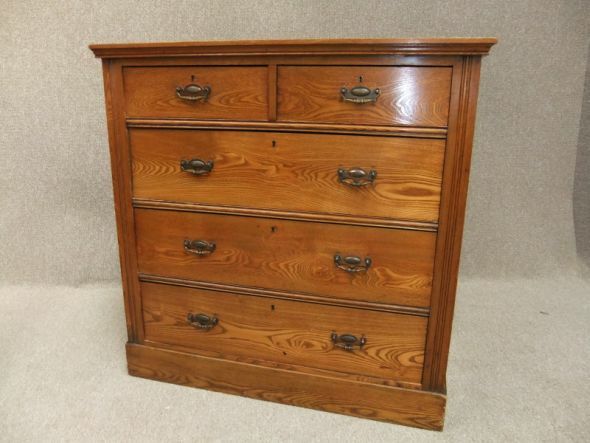 A stylish circa 1900 Arts and Crafts oak chest of drawers featuring two small drawers to top, and three graduated drawers to base. The chest stands upon a traditional plinth base, and still retains all of its original handles. This chest is in good order for its age, with just a moderate amount of wear and tear. There are a few marks to the top of the chest which we have clearly highlighted in our photos. This is still an attractive and useful piece of classic English furniture.